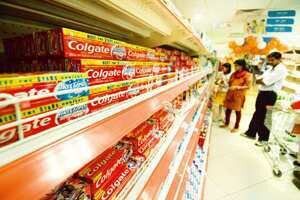 New Delhi: In a move that will likely bring some relief to consumers, companies that make consumer products such as soaps, shampoos, detergents and toothpastes have signalled that they will not raise prices in the next 6-12 months because their input costs have come down considerably. Prices of most such products saw a significant increase in the past two years on the back of a corresponding rise in commodity prices. Companies such as Dabur India Ltd, Godrej Consumer Products Ltd (GCPL), Emami Ltd and Marico Ltd have communicated through various platforms that they don’t plan to increase prices of their products over the next few months at least. Respite from ever-increasing commodity prices is one reason why companies have decided to maintain prices. “It is not likely that there will be significant price increases in FMCG (fast-moving consumer good) products over the next year or so and that is mainly because the entire commodity cycle has turned downwards," said Adi Godrej, chairman and managing director, GCPL, during another analyst conference, again held on 31 October. Godrej listed inputs such as vegetable oils, food products, crude oil, and plastics among products whose prices had turned “southward". Analysts said the healthy performance of these firms over the past few quarters may have encouraged them to hold prices. “If companies increase prices despite reduced input costs, there is a big threat of decline in volumes (demand)," said Anand Shah, an analyst at Mumbai-based Angel Broking Ltd. Shah added that even packaging costs, a “big contributor to cost pressure", had come down. Kolkata-based maker of personal care products Emami Ltd said it wouldn’t increase prices in the near future. “We do not increase prices in the middle of a particular season. Since winters have arrived, there is not going be any hike for the next few months, " said Aditya Agarwal, director, Emami. Questions sent to other consumer products companies such as Marico, Nestle India Ltd, and Britannia Industries Ltd didn’t elicit any response. ITC Ltd said it doesn’t respond to queries concerning prices. A spokesperson for the country’s largest consumer products firm by revenue, Hindustan Unilever Ltd, declined comment on the issue. Companies and analysts said the decision to maintain prices is not likely to impact profitability. Interestingly, price increases ranging between 5% and 20%, over the past several quarters helped most companies to protect their profits, even grow them. “Palm oil rates have come down by 33% since 27 October. This has heavily benefited the makers of products such as soaps. It has already helped in boosting their margins," said Pritesh Chedda of Emkay Share and Stockbrokers, a Mumbai-based brokerage. Godrej echoed this view in his meeting with analysts. “We expect that the lower margins in the first and second quarter of this fiscal will be made up in third and fourth quarter… I expect (profit) margins in the next financial year to be very strong." The companies, however, are unlikely to reduce prices. Reducing prices, especially of consumer products, is a complex process because of the considerable amount of stock in the trade channel at any given point. “If you reduce prices, you tend to have to compensate all the market stocks," Godrej said during the analyst conference.